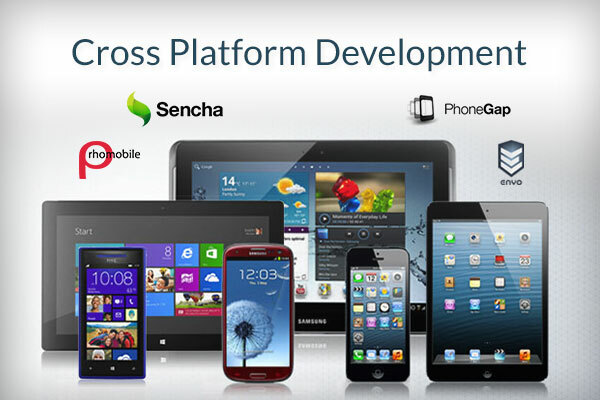 There are many smart phones available in the market and therefore SDK’s-Software development kit needs cross-platform access in the mobile market. Operating systems used in these mobiles use iOS to Android and the developers, majority of times need to create applications which are user friendly and also are needed to be applicable to multiple platforms. For example: Games that are run in iPhone are also expected to run in any new smartphone that is brought. While using SDK a developer needs to concentrate on the fact about the capability, features, formatting and uniqueness of each platform. To make this task simple there are many development tools available in the market which can be used in multiple platforms. 1.RhoMobile: A Ruby based open-source framework Rhodes allows developers to create native apps over cross-platform app development. At low cost, great speed, accuracy Rhomobile allows to develop a single code which can be used on multiple platforms. Other utilities that RhoMobile provides its user are a hosted environment – RhoHub and a standalone server RhoSync. 2.MoSync: A standard web based programming cross-platform tool used in mobile app development, MoSync presents libraries, runtimes, and developer integrated compliers. MoSync 2.4 is yet to release with several features to support most of the OS on mobile from iOS, Android, Linux to blackberry. 4.Whoop: This is mainly designed for non-developers. Though, not a very glossy finish is given as the one done by any developer, but is worth to try. Developers are facilitated with drag and drop options, and these make it so different from other programs. 5.Enyo: HTML Applications created by developers can be deployed by developers through cross-platform and open-source cross browser application. Enyo uses “enyo controls” instead of templates, has encapsulated components to reuse components individually or together. Also provides libraries, layouts and many more. Above, are few of the SDKs along with Google web toolkit, PhoneGap, Titanium, Lungo, jQuery Mobile, Xamarin, AIR, Intel App Framework, jQTouch, Kendo UI and many more. 1.Consolidate the app to what extent? 2.Want to design hybrid app or individual app while on multi-platforms? 3.Want to use which kind of Customization or user interface? 4.A different aesthetic for each individual platform is required? 5.Languages used and the developer is comfortable with? 6.Knowledge and details on Licenses, languages and platforms used in each SDK. 7.Be confident on the pros and cons of each SDK utility. 8.Concentrate on deployment time, cost involved, effort and resources required. On a wrap up note, a developer has to choose any specific SDK based on skillset and requirement. A through research needs to be performed to analyze key functionalities of the app, development tools which supports that functionality and their extensions.